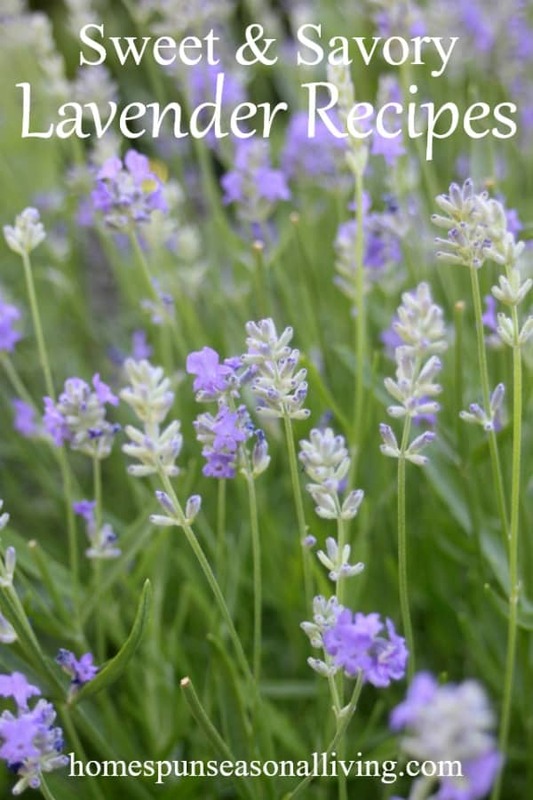 Use the flower garden for menu plan inspiration with these sweet and savory lavender recipes. These recipes are great for parties and weeknight meals so don't be shy in using up the lavender while it's fresh. Thankfully, lavender is also easy to dry meaning these recipes can be made any time of year for flavorful eats. 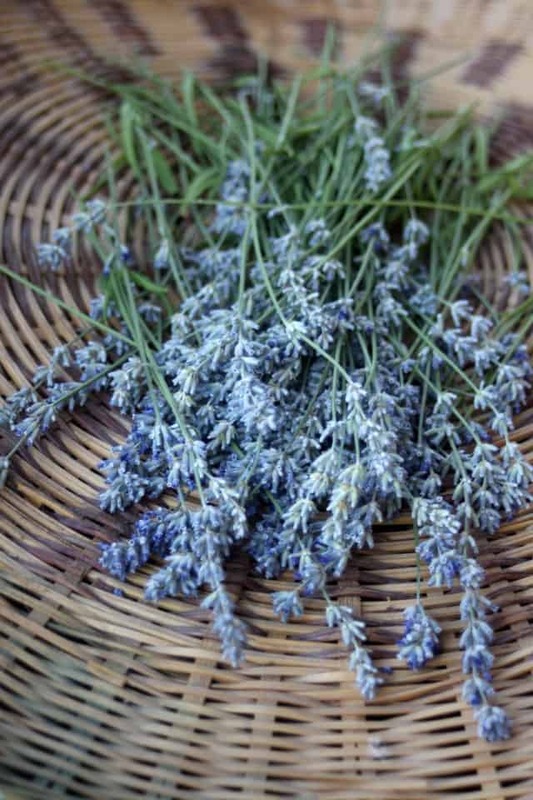 Lavender can be a delicious herbal tea all on its own. Indeed, it is delicious hot or cold all by itself. However, lavender also perfectly compliments many other flavors. Steep lavender blossoms in milk for an herbal hot chocolate perfect for a cold evening. On hot days lavender lemonade is sure to be refreshing. For something citrusy and full of tangy goodness, try this Lavender Kumquat Shrub. Make lavender simple syrup to flavor cocktails and mocktails. 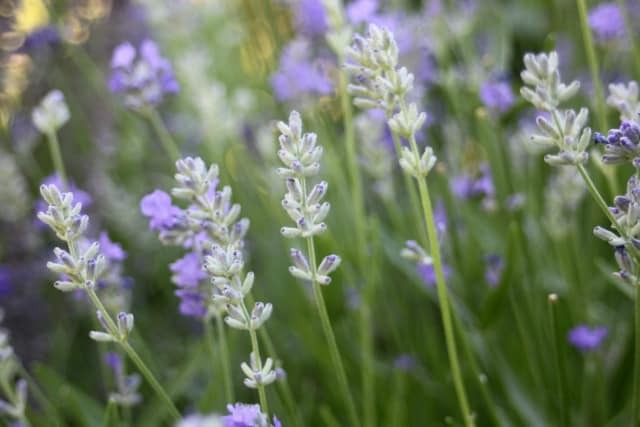 Lavender is one of the components of herbs de provence and that mix is delightful on potatoes, fish, chicken and more. Cook up a pot of this oh-so-comforting lavender potato soup that is sure to chase away the winter blues. For a lighter dish, try these herbed goat cheese souffles. Slather roasting chicken in a glaze of lavender and honey for an amazing simple but oh-so-impressive main course. Give homemade preserves a floral flavor by adding lavender to jams, jellies, and more. 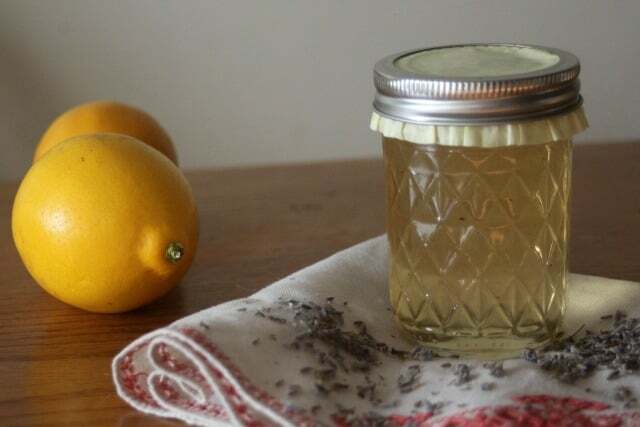 Meyer Lemon Lavender Jelly is a kiss of sunshine on the dreariest days. Make lavender preserved lemons for a delightful twist to the traditional fermented lemon wedges. Lavender combines delightfully well with berries of all kinds. This blueberry lavender jam would make delightful gifts (including 1 for yourself). A simple but impressive lavender bundt cake is perfectly at home at fancy gatherings or weeknight dinners. 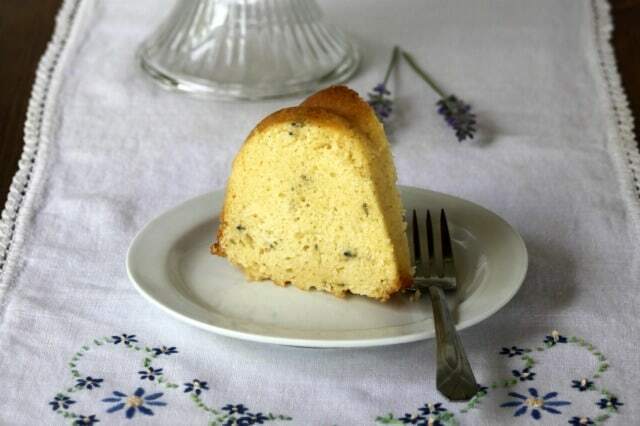 Serve the above the cake with this lavender vanilla ice cream for an even bigger lavender dessert. Lemon Lavender Madeleines are the perfect compliment to a cup of tea. These chocolate lavender cupcakes with honey lavender frosting are easy to whip up and delightful for children and adults alike. Add just a touch of lavender to your favorite dessert by serving it with some lavender whipped cream. Make your own lavender infused sugar and use it in your favorite baked good for a new flavor variation.